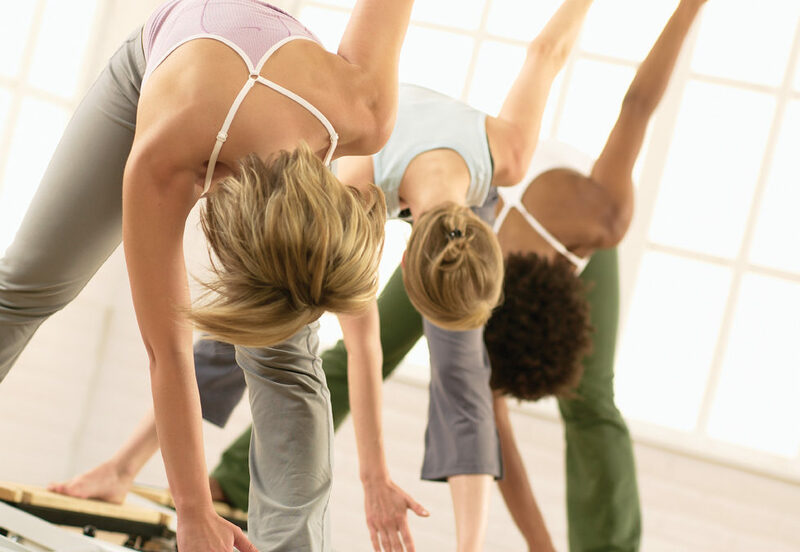 What are the benefits from Pilates? Simply put, Pilates gives you the ability to move through life with ease and confidence! It is a workout regime that focuses on creating better body awareness and working from your core which increases stability and results in more efficient patterns. Pilates develops strength from the deepest parts of the body. Muscles are not working isolation but work as a whole to create a whole body synergy. This mimics the way the body reacts to its surroundings naturally while bridging the mind and the body through focussed breathing. The body is encouraged to return to its natural state, improving posture, releasing tension, increasing energy and promoting an overall long, lean and toned physique. Furthermore, Doctors, Physical Therapists, Dancers, and Athletes have long revered the Pilates Method as a powerful healing and educational physical training system. So whether you are getting into shape, rehabilitating from an injury, struggling with pain, training for an athletic competition, improving your sports technique or just looking for an interesting non-impact physical challenge, the Pilates Method is a great option to add to your activities!